Miuccia Prada's fall/winter 2017 men's and women's show delivered a seventy-esque collection. 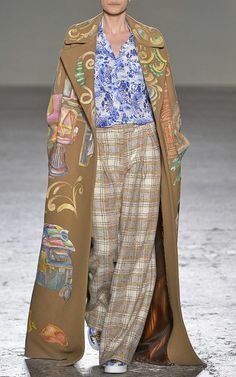 Heavy fabrics and mustard and carrot hues inform a jacketed collection topped with caps. …a much needed turn as everything in the world has gone complicated.